Fermented vegetables are a great way to keep your gut healthy. This is a great one to do with the kids. 1 medium cabbage, cored and shredded. 1. Mix all ingredients in a sturdy bowl and pound with a wooden pounder or a meat hammer or just squeeze with your hands (this is actually very soothing and meditative) for about 10 minutes to release juices. This takes a little work and some patience. 2. 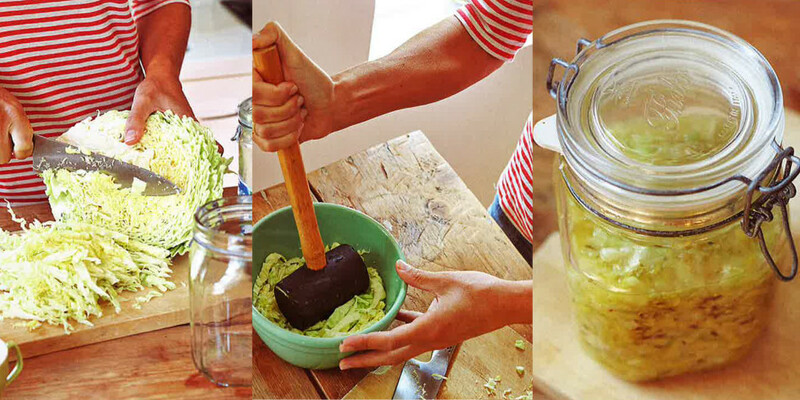 Spoon into a mason jar and using the pounder or meat hammer press down until juices come to the top of the cabbage and cover it. 3. Cover tightly and keep at room temperature for about 3 days before transferring to cold storage.